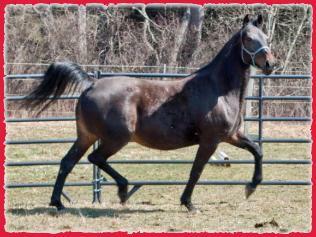 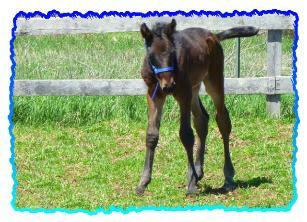 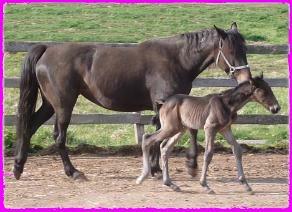 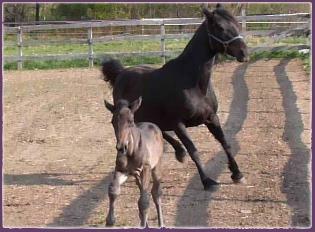 Standardbred filly, first time ever outside. 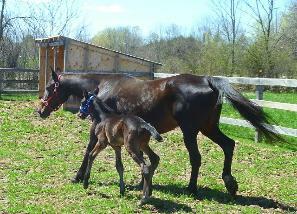 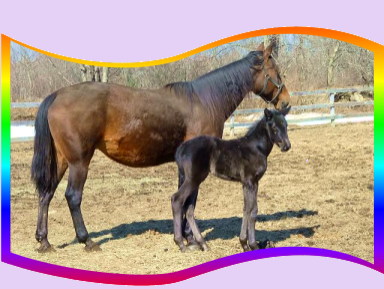 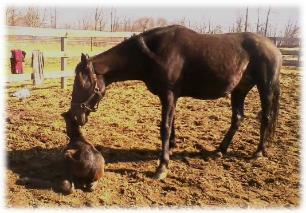 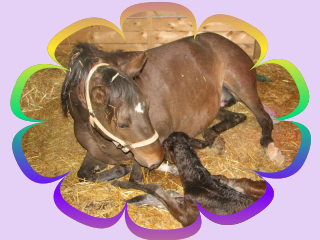 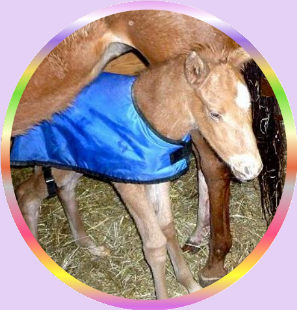 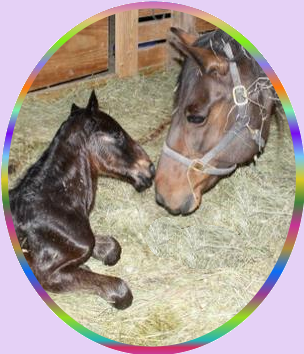 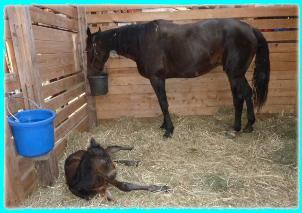 Pasture foaling, filly just minutes old. 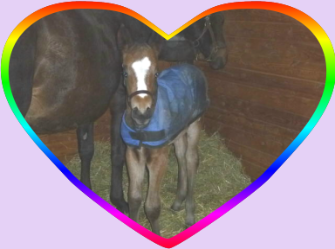 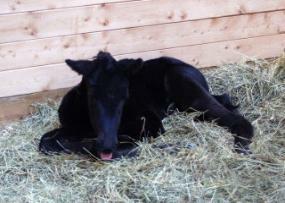 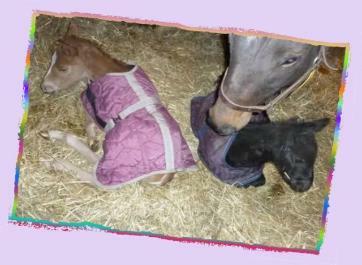 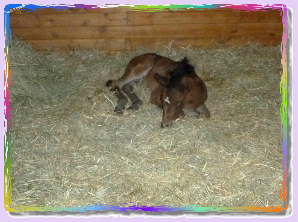 Nothing cuter than a day old foal! 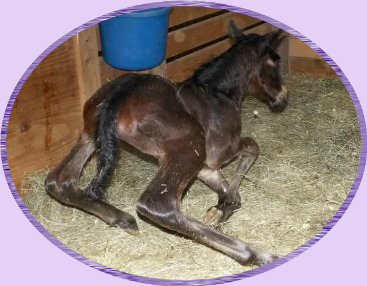 later adopted Lenny, who's own mother had rejected him. 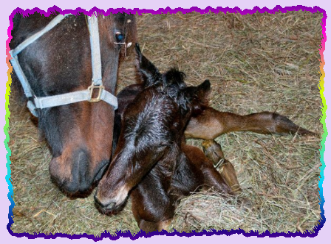 A happy ending for both!